For the new campaign of the door and window manufacturer and distributor Vimat, our goal was to increase brand visibility and heighten the brand’s reputation through an unconventional campaign capable of attracting customers who are already highly targeted by similar product offerings. 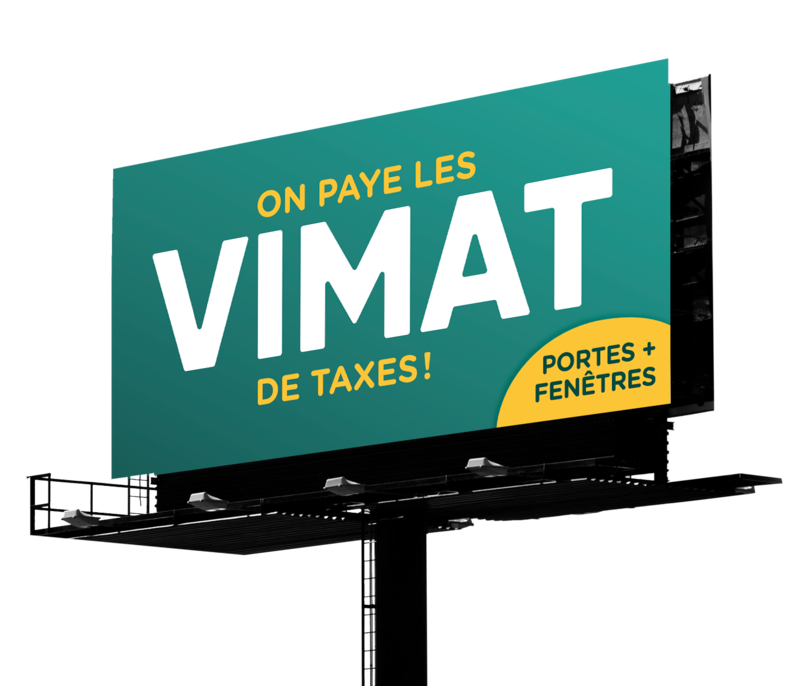 By focusing on the brand, we achieved a key objective: make the consumer think of Vimat when making his or her choice. We therefore pursued an advertising approach focused on catchy yet simple copy that is both relevant and effective, and always laced with humour. This concept makes way for countless variations and easily adapts to various advertising outlets, including signage, radio and web. Luminaires & Cie has been advising and informing its customers for over 30 years. The concept of the campaign focuses on service and expertise: no matter your personality or taste in decorations, we’ll find the lighting you need! 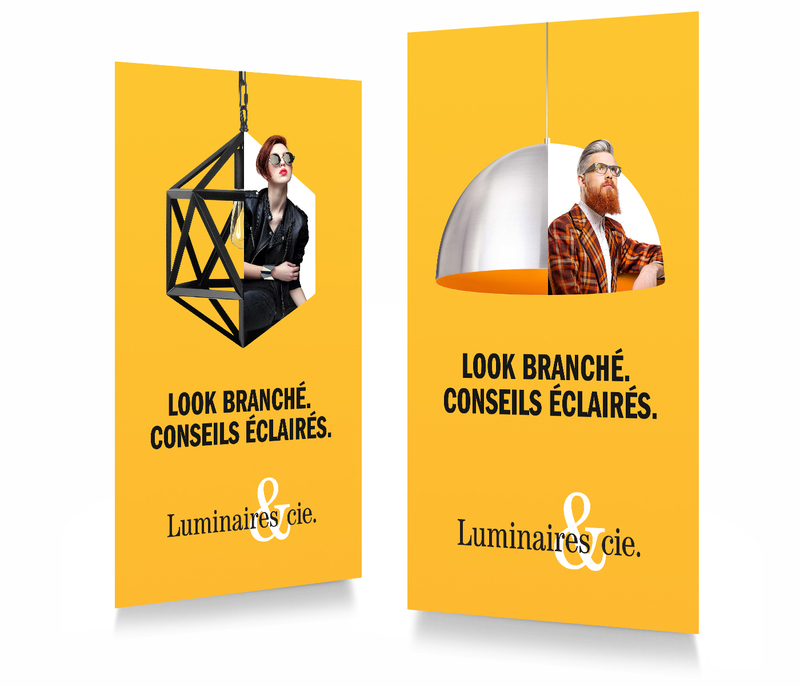 Luminaires & Cie proposes a variety of inspiring and original styles. 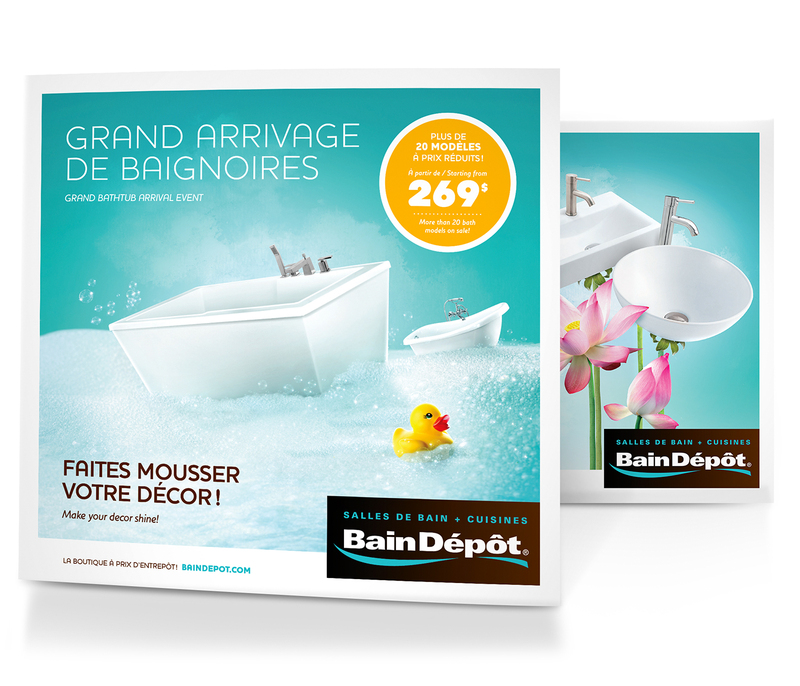 The campaign’s streamlined visuals shine a spotlight of the company’s wide product variety and various client types. Digital strategy, Facebook strike through various posts, blog. These are but a few of the initiatives undertaken by the agency to increase brand awareness and create a distinctive personality focused on consulting services. DR Acoustics, high-end audio cable manufacturer, turned to our expertise to create its transaction site and design print advertising as well as a brochure. 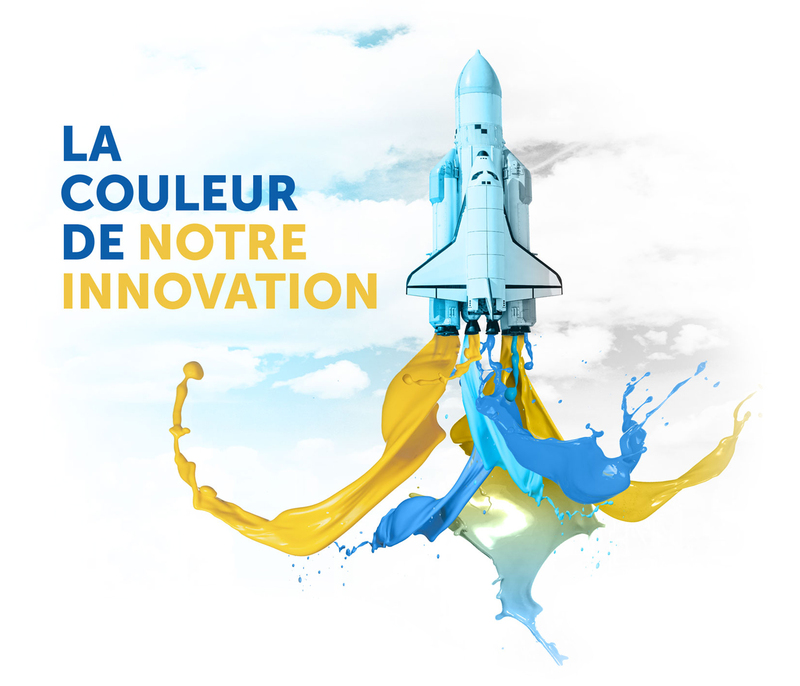 The original imagery treads off the beaten path and is the perfect reflection of this Quebec-based business’s bold and innovative vision. 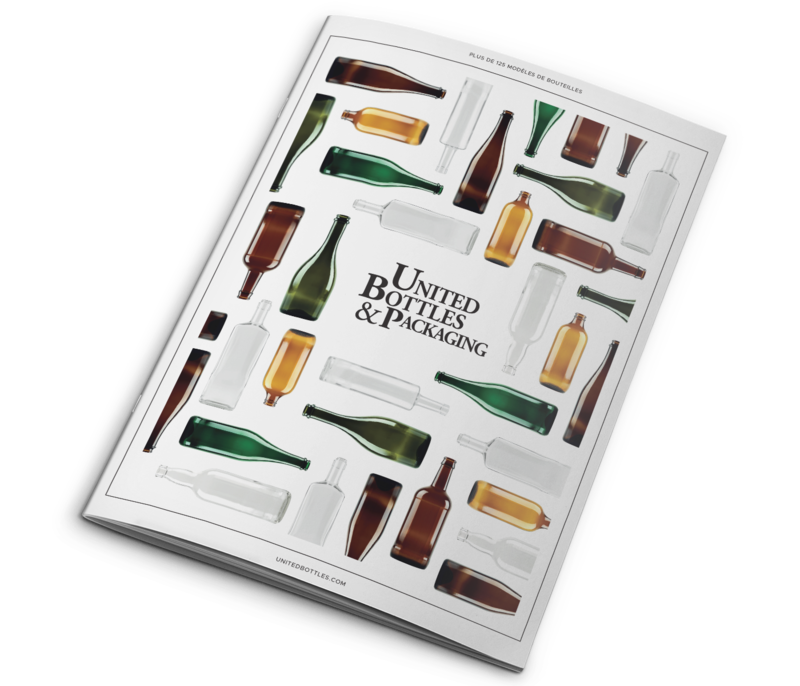 Voyou succeeded in highlighting North America's richest selection of bottles by undertaking a complete overhaul of the United Bottles & Packaging website. A stunning window onto some 125 bottles and services provided, the new website has also become the company's main sales tool. Industrie SOCA Warm and enticing brochures! 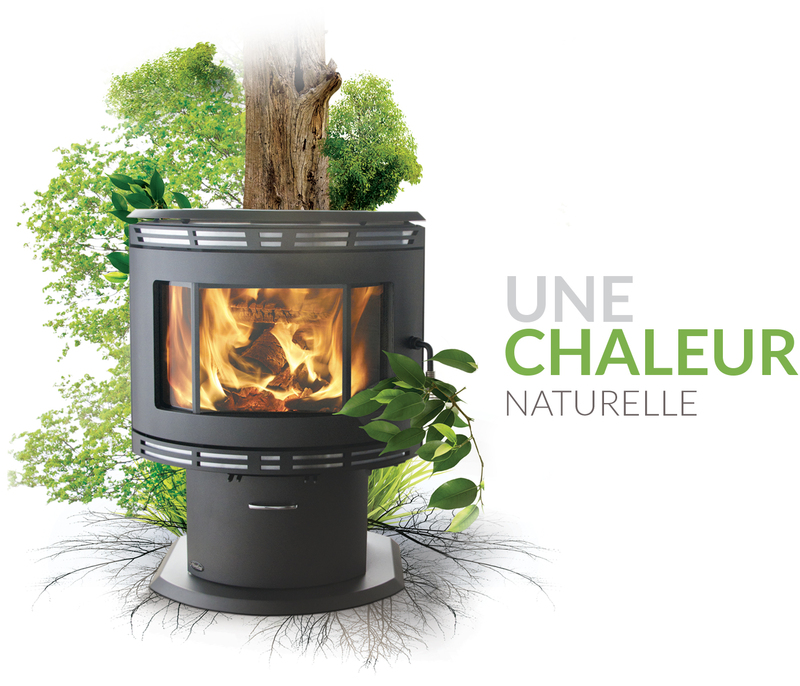 Quebec manufacturer of wood heating appliances, Industries Soca entrusted us the realization of brochures for Nordica fireplaces and stoves. Both booklets include all of the products offered and skillfully combine atmospheric photos and technical details. 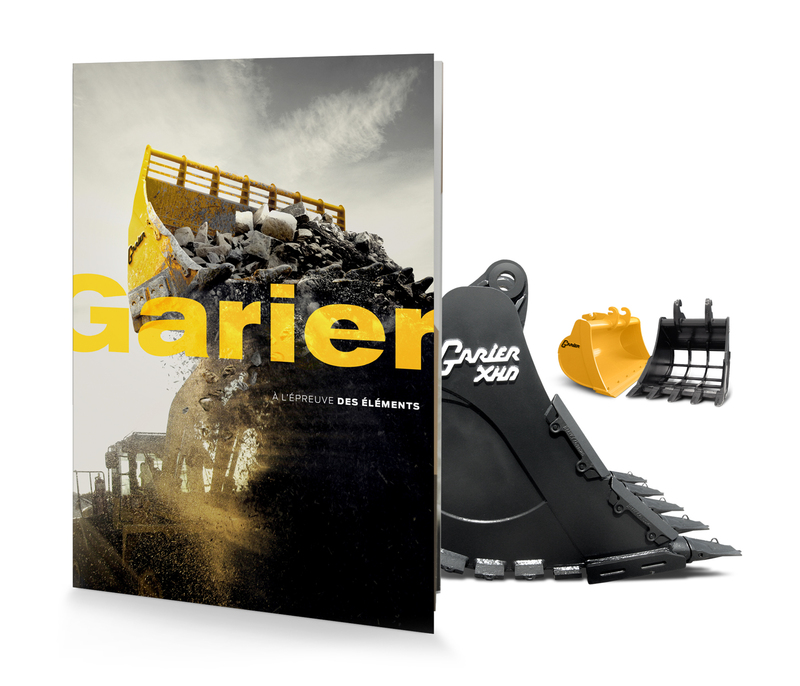 Garier, a company specializing in the design and manufacture of heavy machinery accessories, asked us to design its corporate brochure. Beautifully illustrated, this 26-page brochure includes every product of the company and intelligently combines the technical realm with high-quality design. Aria, a UV ink leader, has built a reputation for its innovative products over the years. To do justice to the size of this company, we completely revamped its website. In 2006, Bath Depot entered Quebec's bathroom scene. Today, with 30 outlet stores, this Nadeau family business has literally reinvented the retailshopping experience. And Voyou has contributed to this success from the very beginning.